Welcome to Palestine Today, a service of the International Middle East Media Center, www.imemc.org, for Thursday, August, 24, 2017. Troops invade West Bank communities search homes and detain a number of civilians. These stories, and more, coming up, stay tuned. Israeli soldiers invaded, on Thursday at dawn, many homes in the West Bank governorates of Bethlehem, Hebron and Jenin, violently searched them, and abducted at least seven Palestinians, the Palestinian Prisoners’ Society (PPS) has reported. The Bethlehem office of the PPS said the soldiers invaded and searched several homes in Teqoua’ town, east of the city, and abducted one man. It added that the soldiers also searched homes in ‘Aida refugee camp, north of Bethlehem, and abducted two teenagers. Furthermore, the soldiers invaded Beit ‘Awwa town, southwest of the southern West Bank city of Hebron, searched homes and abducted one man. The army also invaded Beit Ummar town, including Khallet al-‘Ein and Safa areas, north of Hebron, and ransacked the homes before abducting three men. The soldiers used military dogs during the searches, causing anxiety attacks among many Palestinians, especially the children, in addition to causing property damage. In addition, the soldiers abducted three former Palestinian prisoners, after invading and searching their homes in Jenin refugee camp and Jilqamous village, in the northern West Bank governorate of Jenin. 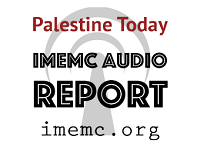 And that’s all for today from the IMEMC News; this was the Thursday, August, 24, 2017, news round-up from the Occupied Palestinian Territories. From more news and updates, please visit our website at www.imemc.org today’s report has been brought to you by George Rishmawi and me Ghassan Bannoura.